PIAA has been the acknowledged leader in innovative automotive products for decades. Visionary design, inspired engineering, and quality components are the hallmark of PIAA’s reputation with drivers of distinction. Propelled by PIAA’s Technical Design Center, our products cross the line from ordinary to extraordinary. “Dependable and reliable under the most severe racing conditions,” note racing professionals. PIAA lenses are computer designed for optimum performance to withstand the rigors of off road racing and normal highway hazards. PIAA’s lamps feature a specially designed housing making it possible for the lamps to operate using higher wattage bulbs without sacrificing bulb life. You don’t have to be an automotive electrician to install PIAA light kits. First, all PIAA light kits come complete with a pre-assembled wiring harness which includes relay, fuse, and switch. 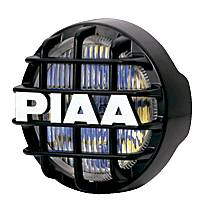 Second, PIAA offers a wide range of mounting kits designed to ease installation of your PIAA lighting system. PIAA mounting kits come complete with everything you need to make your installation almost effortless. The use of PIAA mounting kits ensure a professional looking installation you can be proud of. Limited Lifetime Warranty.